I thought it was pretty at first, the way the fog rolled in over the bay and completely hid the water from view. It rolled onto the lower beach areas and the land close to the water. But pride comes before the fall. You might be able to see the mist lifting ever so slightly, rising up, looking for me. and here it stays, full of tiny droplets of ice water that almost freeze the air. Carl Sandburg’s Chicago poem, “Fog,” made an impression on me the first time I heard it. He says it so simply, so “on the mark,” and with beautiful imagery. I’m sorry, Carl. I find that very often, the last line of your poem doesn’t work for me, so I’ve had to change it. and stays and stays and stays and stays and stays… . Categories: Animals, Cats, Ice and fog, Vancouver Island, Weather, Writing | Tags: Carl Sandburg, fog, poem | Permalink. Canadians have had Thanksgiving in October, but our Americans friends are giving thanks for their good fortune and blessings this week, on November 23. I had a thought about Thanksgiving. Why not have pea soup instead of turkey? It’s all around us with this fog as thick as pea soup. Why not feed it to the group? We want roast turkey anyway. I wish you all a Happy Thanksgiving. I know we are all thankful for what we have. It’s not just about the food, but about giving and sharing, and loving our treasured family and friends everywhere. Categories: Holidays, Ice and fog, Rain, Thanksgiving, Wind | Permalink. The boat that brings in the most fish is “high boat” for the day. But here in this photo, are many high boats. The wharf is in a back eddy of the river near the estuary, in an area locally referred to as the slough.The tide is almost as high as the road and as we drove along beside the floats, the boats seemed to be level with the road. Normally you would only see the masts and trolling poles as you drive by. I took the picture from inside the car. It was too miserable to step outside. You can see the long black snake of tubing at the edge of the road. Whatever is in that long bag of something is meant to stop the river from backing up over the road. The area is no stranger to flooding. I have rarely seen the boats so high that they are almost on street level. The Comox Valley has seen a lot of flooding this fall. A combination of high tide, heavy outflow from the flooding river, and gale-force southeast winds backing up the tide are responsible for this odd situation. It’s really unusual to have so much wind and rain so early and so frequent. It’s just one system after another. A reminder once again that you have only a few days left to meet the Nov. 30 deadline for the writing contest. It’s fun and easy. 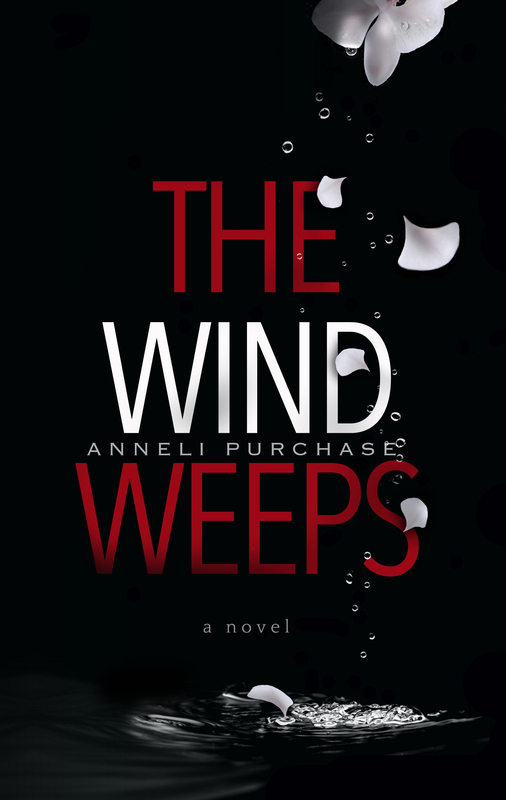 Please visit annelisplace for details. Categories: Ice and fog, Wind | Tags: boats, flooding | Permalink. Between Comox and Courtenay, the road runs along the estuary. I always see at least one interesting thing when I pass by there. It is a place where many species thrive, and a refuge for them when the weather is extreme. From Comox Bay, boats sometimes (not often) come partway up the river. In old times they might have been going to the ways to be hauled out, or they might be going to the small government wharf in Courtenay. The Town of Comox has the much bigger facility, with easier access from the Strait of Georgia. Markers and pilings in the river mouth help to guide boats along the deeper river channels. Many a boat has run aground here, for lack of better navigation aids. Birdlife is everywhere. Here are two kinds of ducks. I’m ashamed to admit that a long time ago, I thought all ducks were brown and their ducklings were always yellow. Nothing could be farther from the truth. Duck plumage is as varied as that of other bird species. Drake mallards are immediately identified by their green heads, but look more closely and you’ll see other markers. Yellow bills, chestnut breast feathers, a hint of a white collar on the neck, beige sides, darker brown on top, dark blue wing speculum outlined by white bars. Flashy little devils, aren’t they? Their wives are dull for camouflaged safety when nesting, but in spite of the boring mottled brown, they do have the same dark blue wing speculum bordered in white. Oh, and notice the bright orange of the feet. Both male and female have these cool boots. Beyond the mallards a flock of widgeons are milling around. Again, the drakes are the flashy ones with their white head stripe and black and white rump feathers. A slash of white under the wing takes the boredom out of the brown body colour. The hen widgeons, again, are dull, dull, dull. And in this case, neither drakes nor hens have those cool booties like the mallards have. The widgeon boots are a more modest greeny-gray. I find it interesting that the two kinds of ducks are together here and yet they are keeping to their own groupings by species. Most likely they are here in the estuary because there is snow on the fields just now. Usually, the widgeons visit grain fields where they are like lawnmowers when a group of them get together, nipping the tops of the grass. A new planting of grain can be devastated by a huge flock of widgeon grazing for a few hours. The mallards, on the other hand, will forage for other things. They don’t mind eating rotten potatoes left in the field, or kernels of corn left behind. If they are hungry enough, you might see mallards snacking on a rotten salmon on the shore, something that is beneath the dignity of the widgeon. But see (below) who has moved in from the frozen fields and the mist of the last blog post. The Canada geese! And if you look closely, in the distance, you’ll see another visitor, sitting on a branch on the island in the estuary (maybe click to enlarge the photo). He’s watching for anything edible, be it fish or fowl. The bald eagle seems to sit a lot, but his “eagle eye” is watching for any sick or crippled ducks that would be easy pickings. Barring that, there may be a careless fish in the shallows. You never know what might wash up. Just now it is a hard time for eagles. The spawned out salmon are almost gone and it is a bit early for the herring to show up. But they are always on the lookout for an easy meal. The estuary is full of life.You never know what you’ll see but there is always something of interest. Categories: B.C. coast, bald eagle, British Columbia, Canada geese, Ducks, Ice and fog, Snow, Vancouver Island, West Coast Canada, Widgeon, Winter | Tags: Comox, Courtenay, drake, estuary, hen, mallard, markings, river, wharf | Permalink. After a relaxing week doing fun things near Olympia, Washington, with my sister-in-law, I drove home yesterday. It has been as cold as -9 C. in Oly, and I was looking forward to the more temperate climate of Vancouver Island. The joke was on me though. Oly warmed up to +6 and Vancouver Island dropped below freezing and had a dump of snow. My drive home along I-5 was on dry road surfaces and with partly sunny skies. A perfect day for the drive. The ferry ride to the island was calm too, and I felt very lucky to have had such a good day of travelling. Almost home, with maybe an hour to go, the roads became wet, with ice at the edges. I usually ignore the frequent signs on the many bridges that say, “Bridge Ices,” but yesterday they scared me a bit, especially when I was in the passing lane next to an oversize load. I imagined myself sliding under the track of the skidder that was loaded on the flatbed truck, and sticking well out into my slippery lane. The highway was blanketed by fog so thick I could barely make out the car in front of me. It’s a good thing I knew my way home because the “pea soup” was thick all the way to my house and down my driveway. I groped my way into my house and was welcomed by the captain and two lovely dogs, Ruby and Emma, who covered me with nuzzles and kisses. I think they were glad to see me. The captain was too, of course. To his credit, he had the house clean(ish) and the dishes done. Almost home, the hills just south of the Comox Valley. This is the morning after I came home. The fog is all down in the valley now, and no longer on the highway. Categories: Ice and fog, Snow, Travel, U. S. A., United States, Vancouver Island, Winter | Tags: Comox Valley, driving, Olympia, sun | Permalink. It blew and friz and snew again! And finally, finally, a few blossoms ventured out to welcome spring. So snow begone. Just stay in them thar hills. Categories: Clouds, Ice and fog, Rain, Snow, Spring, Weather, Wind | Tags: blossoms | Permalink. A bit of fog can add a beautiful touch to a scene, but … it can add a touch of tension if the fog is in the wrong place at the wrong time, refracting too much light straight into the driver’s eyes. A snow fence is a reminder that out here, the winters can be harsh. This special fence is meant to slow down (not “catch”) the blowing snow. The wind slows as it goes through the slats, causing the snow to drop just beyond the fence, rather than piling up against it. The snow fence helps keep the snow from blowing across the highway, thus diminishing the hazardous winter driving conditions. Nearing the summit of Lookout Pass in the Coeur d’Alene Mountains of the Bitterroot Range, it was chilly with snowflakes trying to stick to the road. At Exit 0, which is near the summit, we pass from Montana into Idaho and have to set our clocks back. Aren’t we lucky to be given an extra hour? But it’s downhill on a wet, possibly icy, winding road dragging a trailer through sleet and fog. Will we end up driving over the edge? I left my claw marks in the door’s arm rest. Later, driving through Snoqualmie Pass in Washington, it’s a few degrees warmer, but the driving conditions still brought out the driver’s white knuckles gripping the steering wheel. Surprisingly, it was sunny on the coast. Driving along I-5 through Seattle was pleasant, if you didn’t mind the bumper to bumper traffic in many lanes. We didn’t care about that. By this time, we had that “horse to the barn” feeling, and the truck and trailer went ever faster and faster. A ferry ride from the city of Vancouver to Nanaimo on Vancouver Island, and we were almost home. The short drive up island seemed to take forever. At last we arrived. Even after a wonderful holiday, it was a beautiful feeling to drive down our own driveway once again. Categories: Clouds, Fall, Ice and fog, Montana, Rain, Snow, Travel, Truck and trailer, Weather | Tags: snowfence | Permalink.